#International #company #EuroCape #New #Energy Limited will construct one of the largest #wind #farms in #Europe with a capacity of 500 MW on the shore of the Sea of #Azov. The construction works shall start in 2018. The #market of renewable energy in Ukraine is particularly important for developing its #wind, #solar and #biomass technology. The regional representative of EuroCape New Energy Ukraine I in Zaporizhia region Mykola Kalayanov has recently announced that the international company EuroCape New Energy Limited will start construction of a 500 MW wind farm on the shore of the Sea of Azov next year. 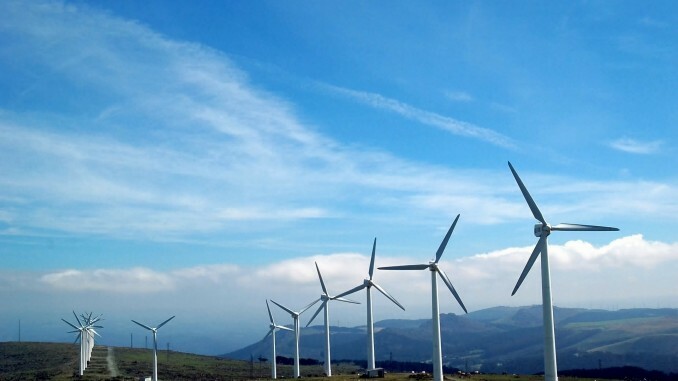 The wind farm to be constructed in Zaporizhia region will be the largest wind farm in Ukraine. According to Mykola Kalayanov, the total capacity of 167 wind turbines will be 500 MW. The investments will total EUR 700 million. The company intends to complete the construction in three to four years. General Director of EuroCape New Energy Ukraine Peter Justin O’Brien presented the construction project to the State Agency for Energy Efficiency and Energy Saving of Ukraine. According to Peter Justin O’Brien, the company plans to build the Europe’s largest onshore wind farm with a capacity of 500 MW with the use of wind turbines with a unit capacity of 3.3 MW. The project also provides for the construction of a 330 kV voltage airline, which should connect the wind farm to the 330 kV Melitopolska Substation of the Dnipro Electricity System, and the reconstruction of the Melitopolska substation. There are constant but not squally winds at the location of one of the units of the future wind farm (Pryazovskyi District). According to European standards, such winds will ensure high efficiency of wind turbines’ use. In 2008, international company EuroCape New Energy Limited founded its 100% owned Ukrainian subsidiary headquartered in Kyiv. EuroCape New Energy Ukraine develops and constructs wind farms and wind turbines and obtains all necessary permits. The Ukraine-based subsidiary receives the full support from the parent company to manage the renewable energy projects and operate the wind farms.